Just Random Little Things...: Happy Gobble Gobble (Thanksgiving) Weekend! Happy belated gobble gobble (or Canadian Thanksgiving) weekend to everyone who celebrated or are still celebrating! Hope you had a wonderful, joyous and thankful weekend with family, friends and food! We definitely spent the weekend doing just that. It all started out with a Sweet 16 Birthday party on Saturday. Sunday we went to my husband's family for thanksgiving dinner and had fried turkey! 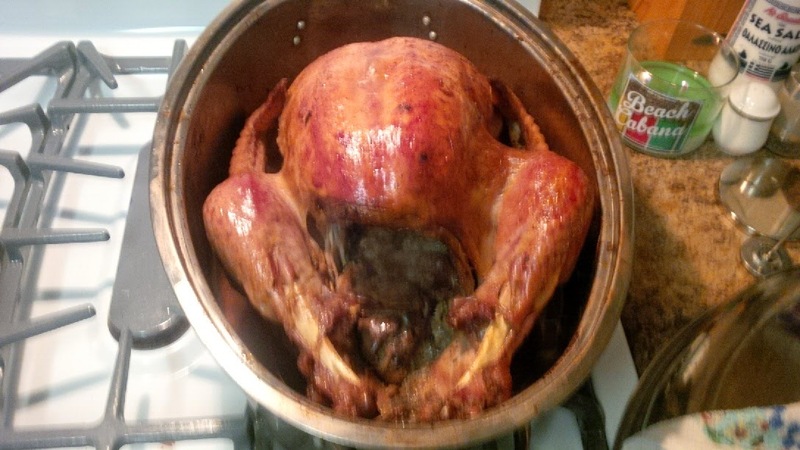 On Monday we went to my family for thanksgiving dinner and enjoy a baked turkey! My husband and I joked saying that we had it all this weekend! 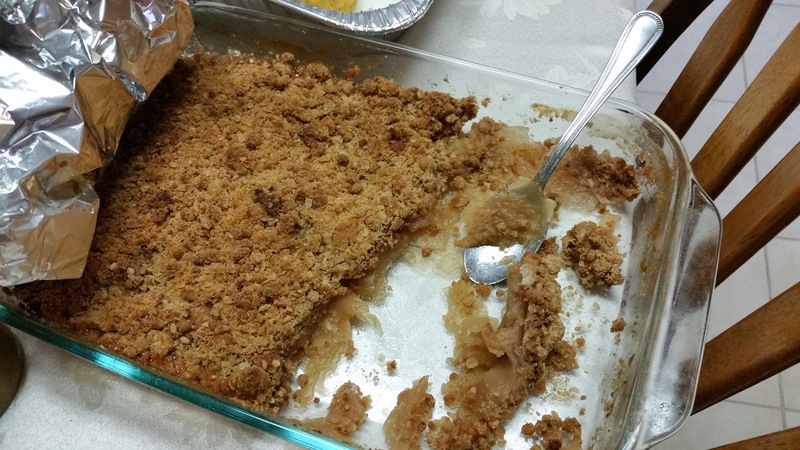 I also made Apple Crisp for the first time and it turned out really great! I Googled a recipe and followed it off the internet. The recipe that I used called for lots of sugar! I think next time I will cut down on the sugar to make it not as sweet, but nevertheless it tasted great. It's so great that we can celebrate a holiday such as Thanksgiving. It really does remind you of everything that you are grateful and thankful for. Even the simple little things that sometimes go unnoticed. There is a lot that I am thankful for that sometimes gets forgotten when a bad day sneaks up on me. Nevertheless, I hope everyone spent their Thanksgiving weekend well and safe! What did you do for Thanksgiving weekend? Any traditions?